Here’s some recent examples not to follow. The rap against him: Self-obsessed ex-football player who dumped his pregnant wife to run off with an NBC intern. Now plotting a return to the gridiron, four years after retiring. The smart approach: Barber should keep his mouth shut and let his on field performance do the talking. What’d he did: Sat down for a lengthy HBO Real Sports interview explaining that after losing his broadcasting job he has suddenly discovered that he “needs” football. What’s worse, he followed that with a lengthy interview on WFAN radio. Barber insisted that his agent be on the line with him and angrily debated whether he had been fired by NBC. Not a good way to demonstrate humility. The rap against him: Thought not to be a man of the people. A patrician millionaire out of touch with potential voters in the 2012 presidential election. The smart approach: Don’t tell us you are a man of the people. Show us by your actions. What he did: Jokingly described himself as “unemployed”– an attempt at humor that fell flat. Then, when out campaigning, looked in his wallet for a couple dollars to give a kid and struggled to find anything smaller than a $100 bill. The rap against him: Known as an eccentric, erratic and outspoken NBA basketball player most famous for his role in a 2004 brawl in which he went into the stands at a game in Detroit hitting a fan who he thought (incorrectly) was the person who threw soda at him while he was laying down on the scorers table. Artest was suspended for the remainder of the season missing 86 games. Although he has avoid anything quite so dramatic since — Artest has continued to be controversial. At least it wasn’t the worst name change idea that came to light this week. Media accounts say that documents found in Usama bin Laden’s hideout suggest that the terrorist leader had considered changing the name of his Al Qa’ida organization because they have gotten some (exceedingly well-deserved) bad ink. The people have spoken, damn them. Julie Taymor, ex-director of the Broadway play “Spider-Man: Turn Off the Dark” is unimpressed. The New York Times today quotes Taymor critiquing the re-tooled show she was axed from in March. A newer, “much simpler,” version of the $70 million extravaganza opened last week. A large number of the show’s actors went splat during earlier performances but worst, audiences complained that the show was just too confusing. After Taymor’s firing her successor tried to clear up Spider-Man’s web of confusion. She went to see the new version last week but didn’t like what she saw. “It’s very scary if people are going to move towards… (having) audiences tell you how to make a show,” the Times quotes Taymor as huffing. “Shakespeare would have been appalled. Forget about it. It would be impossible to have these works come out because there’s always something that people don’t like,” she added. Yeah, if the groundlings got a vote, Shakespeare never would have been able to include that scene where Juliet slides down zip line from her balcony smack into Romeo’s arms. Message to Taymor: you and your version of Spidy got canned. It is not likely that your take on the revision is going to be viewed as unbiased. And comparing what your previously called your “rock-and-roll circus drama” to Shakespeare isn’t going to fly either. While we have seen neither the earlier version nor the new-improved Spider-Man-Lite, our advice to Taymor is to not only “turn off the dark” — but also to lighten up. Now that he has his life back, Tony Hayward is talking about lessons learned from last year’s environmental/PR disaster. Hayward presided over BP’s response to the Deepwater Horizon crisis in the Gulf of Mexico in a manner which earned him a place in public relations text books — and not in a good way. Recently, Hayward spoke to a bunch of communicators at a big UK PR agency called the Loewy Group. Someone present summarized Hayward’s comments in a blog. Among Hayward’s conclusions — media coverage of the oil spill was “vicious.” He apparently was surprised to find inaccuracies in stories and inflated fears. “We were at war with the media every day. There’s no other word for it,” Hayward is quoted as saying. Yes, Tony, and you lost the war. Hayward says that at the height of the crisis, BP had 50 people working full time simply to push back against “inaccurate” information on social networks on the internet. 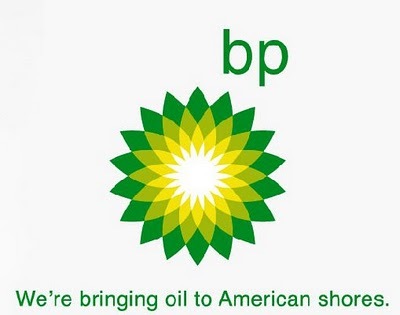 Seems to us the problem was more about the accurate reporting of what Hayward and others from BP said. Looking back, Hayward says he would have had a more senior team in charge of responding to the media. Excellent idea — you don’t want someone handling a global mess like that one who is on their first crisis. He also suggests that all large corporations should test their crisis plans regularly and admits that BP wasn’t ready for what hit them. No kidding. The blog item makes no mention of whether Hayward takes any personal blame for throwing petrol on the oil rig fire. He’s right that companies need senior communications experts and lots of pre-disaster practice in situations like these…but none of that will suffice if the corporation’s top leaders demonstrate a tin-ear for getting their message out.